Basically. The basics. The primordial. The essence. The bottom. The soul. All those things are Lo esencial. 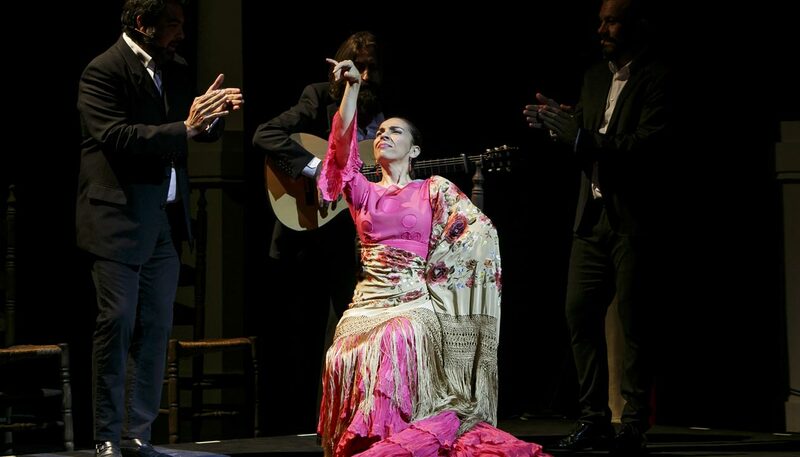 A show that is made without pretensions, without packaging, without conceptual ideas, and allowing total freedom to show the flamenco we feel. Making a tour of the alphabet, from cantiñas to martinetes, tangos, abandolaos, tientos or malagueñas. A show designed for intimate spaces. Flamenco in great theaters amplifies its greatness, but I think that in the small spaces you can experience other nuances, it becomes alive, you can almost feel the air that moves the shawl or the bata de cola, the breath of the sings, appreciate the looks, the complicity between the artists, and in this show besides admire us we love each other, and that can be the important thing of this proposal, the essential thing, Lo esencial. Sing, guitar and dance.